Looking for a place to volunteer? Besides the opportunity to volunteer with one or more of the many activities in Hope Church, many of our members also volunteer in one or more of the following community outreach ministries. For more information on any of them, please visit their websites or email Nancy, our Administrative Assistant. If you are a member of Hope Church and volunteer with a Christian organization in the area that is not listed below, please let our webmaster know to have the ministry included. The ‘WHY NOT’ ministry is mostly a youth ministry in Brantford, Paris, and Woodstock. However, a branch of the ‘WHY NOT’ ministry in Brantford also involves a street ministry to the poor, the lonely, some mentally disabled, the homeless and drug addicts of downtown Brantford. Hope CRC is blessed to take on this ministry by providing food (chili) and grilled cheese sandwiches every Saturday afternoon from 2:00 – 3:30 p.m. in the YES Church at Henry & West Streets. Frozen pizzas are also donated. This ministry begins the 3rd Saturday in September and ends on the 3rd Saturday in June. 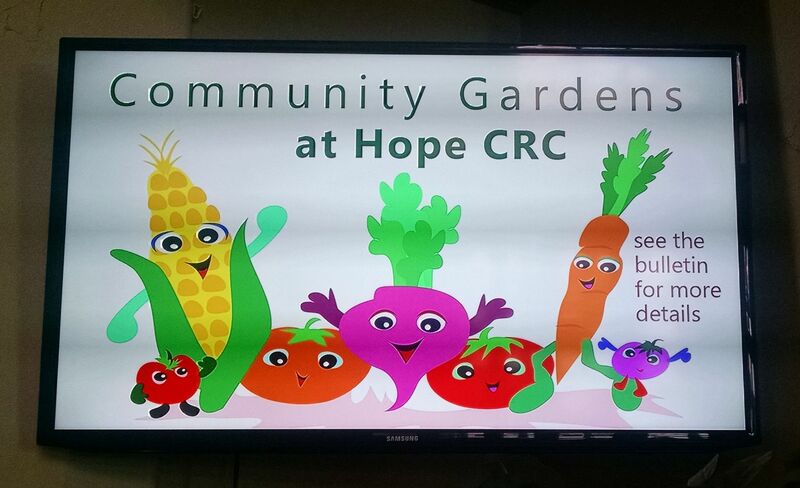 Hope CRC also provides 2 supervisors to help serve the food and interact with the people who attend. Women of Hope Church provide the chili. Some members of various denominations also help out with this ministry. Charlie Kopczuyk, one of the leaders of ‘WHY NOT’ is usually present to help as well. By providing food we also have opportunity to sit down with those who come (20-50 people usually), to talk with them, listen and sometimes pray with them. We have opportunities to tell them about salvation through Jesus Christ, the Risen Lord. If you are interested in participating in this ministry, please talk to Theo Vandeputte. Phone #: 519.752.8595 or email: theovandeputte@gmail.com. Roughly 80-90 volunteers are needed each year to make the program successful. The volunteers that make up Mission Thrift Store (MTS) are the true driving force behind its success. MTS relies heavily on the work of volunteers, and without their regular contributions, MTS would not be nearly as successful in reaching its goals. their way into the store. Our main focus is to repair and resell all the used goods to keep them out of the landfill. 70% to 80% of the donated goods that come into the store are cleaned, repaired and resold. Volunteering is a healthy way to “give back” our time, which is one of the most valuable resources we can give especially in today’s fast-paced society. Most people volunteer with the intention of making an impact on others, but in fact they themselves are the ones who are most impacted by their service. Among the many benefits of volunteering is better health through activity, the acquisition of new skills, social interaction with other people, and most of all, the ability to have fun while making a difference. Most of our volunteers agree that their decision to volunteer with MTS was a rewarding experience which is why many continue to work in our stores even today. If you want to give of your time and make a real difference in your community, consider lending a hand at our Brantford Mission Thrift Store! 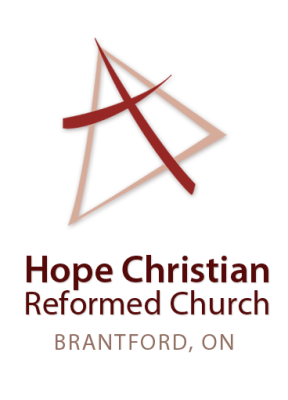 All proceeds from the Brantford re-Source Thrift Shop benefit The Brantford Christian School, The Why Not City Missions (see above), and The Pregnancy & Resource Centre of Brantford and area. 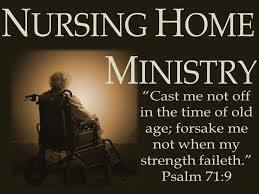 Several of our members are involved in nursing and retirement home ministries. A number of them are involved in conducting worship services in homes such as Tranquility Place, St. Joseph Lifecare Centre and John Noble Home. Others love to visit seniors in one of these homes on a regular basis or be part of a musical ministry such as a monthly hymn sing. If you would like to be part of one of these rewarding ministries, please contact Nancy, our Administrative Assistant. Hope Christian Reformed Church partners with Jacob's Well Ministries, the Children's Aid Society and other organizations to create a "Back-to-School Carnival." It's a multi-church outreach targeting lower income families within our community and provides them with the necessary items to get their children back to school! Free haircuts, lunch snacks, a school bag and school supplies are given. It's a social event where supper is provided along with fun activities for the children. This event happens throughout the month of August at various locations throughout Brantford, including our church location. If you would like to be part of this rewarding ministry, please contact Nancy, our Administrative Assistant. to glorify Him in every aspect of life. Entrusted with the care of God's children, Brantford Christian School endeavours to guide these children to commit themselves, academically, spiritually, emotionally, and physically, to responsible service to the LORD in every area of life. revealed in the Bible. This infallible Word of God is interpreted from a Reformed biblical foundation where Jesus Christ is central to the Biblical story. In professing a Christ-centred foundation to education, HDCH asserts that the Triune God is the Creator, Redeemer, and Sustainer of each student, staff member, parent/guardian, and the school community. In fact all of life, including academics, is subject to His authority and is in need of His transformational love. 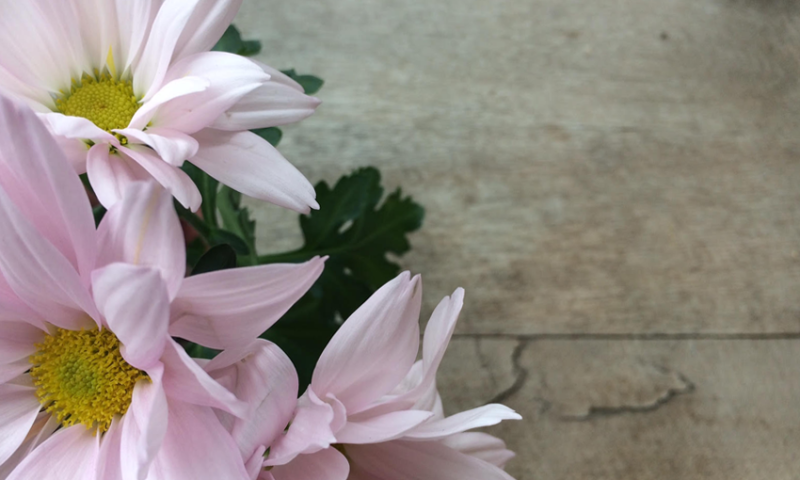 How does the Lord grow us spiritually during the university years? The simple answer is: in countless ways. We mature spiritually through our interpersonal relationships, the courses we take, the official and unofficial mentors we learn from, through worship, devotions, small groups, guest speakers, volunteering, mission trips, the wonderful and the difficult events in our lives and much more. Click here to watch Heidi de Vries, a member of our church, in a promotional video for Redeemer University College about her job as a lawyer for the City of Brantford. Visit our website for lots of information on life as a Redeemer University College student where you will discover what it means to live in a way that honours who you are and who God is. Here at Hope Church we offer 10 foot x 10 foot plots in our Community Garden. If you are interested in a plot, please call us before April 30 @ 519.759.7581 or fill out the form. There will be a meeting in early May and you will be contacted about the meeting. Community gardens allow families and individuals without land of their own the opportunity to produce food or a beautiful garden of flowers. Community gardens provide opportunities to meet neighbors. Community gardens can bring people together from a wide variety of backgrounds (age, race, culture, social class, language). Community gardens provide a place to retreat from the noise and commotion of everyday living. Community gardens encourage nutrition and community in diverse neighbourhoods. Working in a community garden (green space) reduces stress and increases a sense of wellness and belonging. 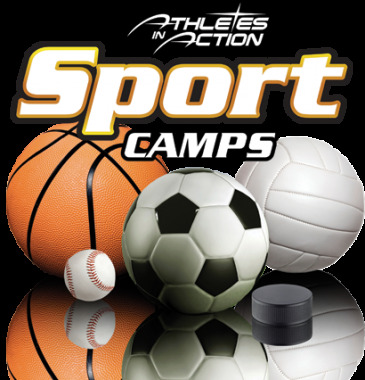 Our Soccer Camp is usually held for one week in July each year from 9 to 3 every day. This year it will be held July 10-14, 2017. It’s run by University students from Athletes in Action who will help children develop fundamental dribbling, shooting, passing and ball control skills. Each day includes exciting competition, fun fitness, and amazing tournaments. Every camper gets the individual attention needed to grow physically, socially, mentally and spiritually. Nutritious snacks are provided but campers need to bring their own lunch and water bottles. The registration fee includes a T-shirt for each child. To register, you can download the Registration Form, fill it out and give to Nancy, our Administrative Assistant, along with your payment, or take it to the church office. You will need one form for each child. 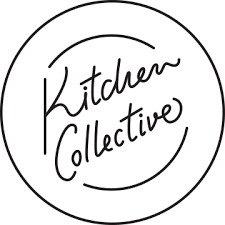 Collective Kitchens is a food program that provides kitchen facilities to groups of people who meet regularly to cook affordable meals, learn and share skills (budgeting, shopping, and preparation of healthy food). Money is saved through bulk buying and cost sharing. The food is prepared in large quantities and then divided to take home. Please contact Pat Eelkema or Nancy, our Administrative Assistant, for more information regarding Collective Kitchens at Hope. Outreach ministry for women from other countries who are living in Canada. The group meets weekly for fellowship, outings, games, baking, and so on. Please contact Nancy, our Administrative Assistant, for more information. 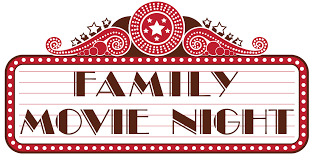 Community movie nights are held monthly at the Church. Each movie night will be advertised on the sign in front of the church. Please contact Nancy, our Administrative Assistant, for more information.